In 2008, the hospital where I worked—a Level II trauma center just outside Chicago—was $54 million in debt. Everyone seemed to be aware of this fact; the figure floated beneath the surface of all our conversations, an unspoken rigidity we seemed to bump up against everywhere we turned. We were to be careful when we distributed small stuffed animals to unhappy children in the ER, were told to dispense fewer scrub tops to adolescents with dislocated shoulders and bloodied shirts, to pay attention to the way that canes seemed to walk off as if under their own power. Everything cost money, Helene, our nursing manager, reminded us, even if the kid was screaming and had to get staples in his scalp. I was an ER tech then, someone who drew blood, performed EKGs, and set up suture trays. Most of my knowledge of the world of the ER came through direct patient care. If a nurse or a doctor needed something for a patient, I’d get it for them. I’d run into the stockroom, sort through yards of plastic tubing, through dozens of disposable plastic pieces, acres of gauze. We—the techs—were expected to guard against the depletion of resources. Helene seemed to remind us at every available opportunity by tacking notes up on the bulletin board in the staff break room. please conserve your resources. only use what is necessary. These notes were pinned next to our Press Ganey survey results, a form sent to patients upon discharge. Helene blacked out staff names if the feedback wasn’t positive. But the question of resources seemed like the kind of problem that couldn’t be solved through gauze or surveys or suture trays. 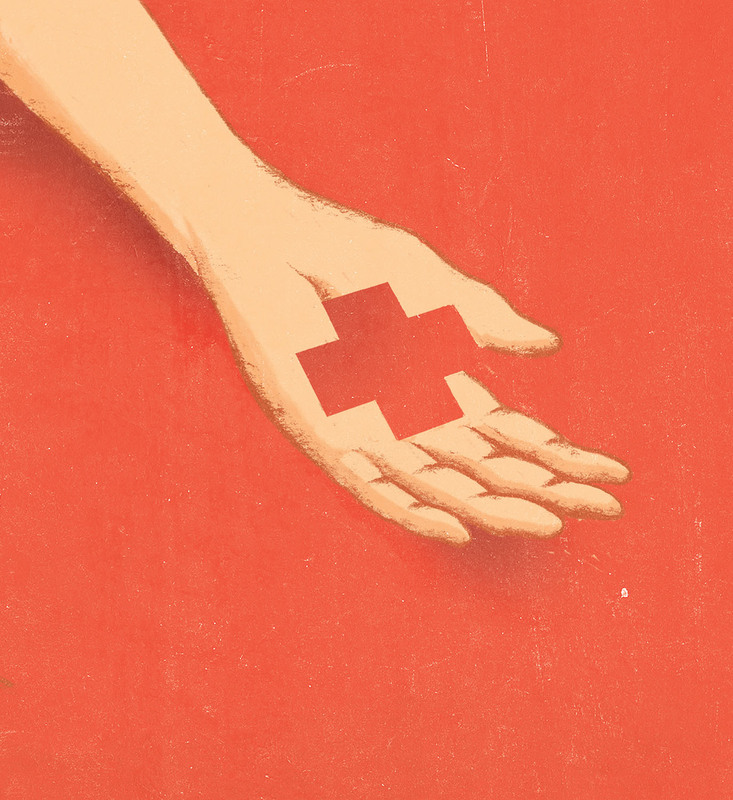 When it was quiet—a forbidden word in the emergency department—I’d help with the billing. We’d break down charts as fast as possible: scan them, assign codes, and decide what to charge. Names I vaguely recognized flew by on the PDF reader. I studied my handwriting on their medication lists, a form techs weren’t supposed to fill out but did anyway. (Nurses were supposed to keep up with the medication lists, but there was never enough time for them to actually do it.) Because there were only twenty slots on these forms, I sometimes had to use two pages. I was twenty-three at the time, still paying off the cost of the mental-health-care debt I took on at nineteen, a cost I believed I would shoulder well into my thirties, a figure that felt more like a student loan than an appropriate cost for medical care. I didn’t understand the nature of my mistake at the time, that I should have gone somewhere else for treatment—maybe the university hospital, where the state might pick up your bill if you were declared indigent, or nowhere at all. Sitting on a cot in the emergency room, I filled out paperwork certifying myself as the responsible party for my own medical care—signed it without looking, anchoring myself to this debt, a stone dropped in the middle of a stream. This debt was the cost for living, and I accumulated it in the telemetry unit, fifth floor, at a community hospital in Iowa City, hundreds of miles from home. There, I spent too much time playing with the plastic shapes that dangled from my IV line, which dripped potassium ions in carefully meted doses, like dimes from my future life funneled into a change-counting machine. My health insurance at the time occupied the space between terrible and nonexistent. I couldn’t imagine the amount of money I’d spent—the debt I’d incurred—in attempting to end my life. Suicide should be cheaper, I remembered thinking. Probably half the costs were for psychiatry, for an illness it turned out I never really had. I was depressed, but a lot of people were depressed in college, it seemed. I only tried to kill myself after I began taking—and then stopped taking—all the medications I’d been prescribed, twenty-six in all. All for what turned out to be a vitamin deficiency, combined with hypothyroidism and a neurologically based developmental disorder. And then there were the unintentional costs, those involving loss of work, lost friends, having to ask my father if he would drive to Iowa City and help me pack up all my belongings and move into a new apartment, since my roommate, who had also been diagnosed with mental illness, had developed a profound depression and had moved out. He wanted to drive to Mexico on a motorcycle. My life did not have space for motorcycles. When my bill finally reached me, it wasn’t itemized, just “balance forwarded” from the hospital to the collection agency, after my paltry insurance covered the initial cost. From then on, I’d get calls requesting that I boost my payments, or I’d call them to switch bank accounts and they’d harass me on the phone. They would call me on my cell phone while I was at work, in the car, at home, in between shifts at the hospital, which I sometimes worked back to back if I could. For a long while I ignored them. I blocked their number, refused to answer when they dialed. My debt was five figures, an immense sum for someone making only $12.50 an hour. My coworkers in the ER were largely sons and daughters of first-generation immigrants. Most of them lived with their parents, and made up for it by driving nice cars. I lived in a third-floor walk-up almost far enough away from Iowa City to forget how much money I owed, and to whom. At the hospital where I worked, patients returned again and again, a kind of catch-and-release program, we joked, so nobody would pay for these stays. Some insurance plans prevented payment—as a kind of penalty—to hospitals that readmitted patients who’d been discharged inside thirty days. No payment to the hospital to disimpact a cognitively disabled ninety-eight-year-old woman, or to start two IVs and admit a woman who, at 108, had explained to the techs in providing her medical history that she had lost one of her older brothers in “the War,” in a trench in France in 1917. The government thought that these people should have been cured, explained in hundreds of pages on the Centers for Medicare & Medicaid Services website, then later in the documents that made their way across Helene’s desk. How do you explain the cost of a perennially septic patient whose nursing-home status and inconsistent care meant we’d see her again next month? The patients who appeared on my screen flashed in bits and pieces, their visits reduced to minor explanations, to ICD-9 codes used to categorize their illnesses or injuries. I’d use their chart to determine what they should pay. If we were in doubt, we were expected to bill up (though this was never explicitly discussed)—that is, if someone received medical care from a physician assistant or other “midlevel” provider, the patient’s care might cost less; but if the physician assistant or a nurse practitioner did more work (sutures, for example), the care could still get bumped up a level. Suicide attempts were particularly resource-dependent. Patients were admitted to a medical floor—perhaps ICU—to deal with the physical costs of their attempts. Later, they transferred to psychiatry inpatient—nicknamed Fort Knox, as it was locked—after they had stabilized. The attempters came in sporadically, surprises tucked into the low points of our afternoons, beside admissions of women who had inexplicable feminine bleeds, and elderly men who slipped off sidewalks and into the street on sunny days. The attempters were people with conviction, but who lacked the ability to follow through. Who could blame them for their ineptitude, considering they wanted to do it at all? There were rules in charging patients for emergencies, unique explanations for one billing code instead of another. If someone was discharged from an inpatient floor, she might find a toothbrush marked eight dollars, an IV bag marked twenty-five. In the emergency department, we assigned a level based on the type and duration of care, rather than itemizing each treatment individually, a complex algorithm based on many factors, but usually distilled into a few questions: Was the patient treated on the trauma or medical side of the ER? Sutures or no sutures? Cardiac workups? EKGs? Each level had its own exacting specifications, a way of making sense—at least financial sense—of the labyrinthine mess of billing. There was a surcharge for the physician (it was cheaper if they saw the physician assistant instead), and assorted charges for interventions, for the trappings of emergency—bandages, braces, Orthoglass for splinting. There was an expectation that you moved as quickly as you could. Hopefully you did not commit any errors along the way. How much should it cost to put staples in a child’s head? Staples seemed complicated. We weren’t supposed to use anesthesia. It sounds like an act of unspeakable cruelty, but the truth of the matter is that people have less sensation in their scalps than other parts of the body. The staple guns were autoclaved or thrown out after use; there were only so many staples available per gun. We stocked the ones that held fifteen or else twenty, and usually two or three or four did the job. Shafiq, the physician assistant I worked with most days, liked to mix a local, topical anesthetic—lidocaine-epinephrine-tetracaine, or LET—for children who came in needing staples. I loved the sharp smell of LET when I mixed it. The chemical reaction meant it started to work immediately after mixing, so I assembled the ingredients in front of the patient, stirred with the wooden end of a long Q-tip, which I then flipped and dipped into the solution to apply the gel. It reminded me of chemistry lab, of the courses in community college I liked best—black tabletops, wooden stools, a type of precision. In the meantime, the patient sat and bled on the cot. And then we waited until the anesthetic had done its job. In patient charts, the LET sometimes bumped up the level of care. We asked patients’ parents if it’d be okay if we used a little numbing gel for the child’s scalp, and of course everyone said yes—yes, yes, yes. For us, this was tantamount to asking someone if they’d like elective cough syrup, or an aspirin, or some small gesture. There were other costs. Dermabond was expensive—it was for open wounds, just superglue used to adhere flaps of skin back into place. We gave small stuffed toys to children who wouldn’t stop crying in the ER, and although someone donated those toys, the time we spent stocking them meant that they cost as much as any other type of equipment we might use. Even the inexpensive things could be counted as a potential place to stem waste: sandwiches consumed by diabetics or (more likely) hungry techs, the little packages of cookies we used to placate toddlers whose siblings had been brought in. The boy on the bicycle, hit by a bus, whose blood was drawn twice because it clotted in the lab. A man in a C-spine collar, strapped to a backboard, off to x-ray for expensive films. Helene told us everything was expensive; to be careful. Not everyone needed an EKG, or blood cultures, though that was usually a physician’s problem, not a tech’s responsibility. One of our docs only worked weekends and alternating holidays, brought doughnuts for the nurses—sugar placated even the angriest among us, the most difficult—and drew blood cultures on everybody over the age of fifty-five, which felt like just about everyone we ever saw. Helene seemed to speak to him without ever actually speaking to him—this guy who swooped into our hospital on a part-time, just-a-few-shifts-a-month basis, and spent money our hospital didn’t have. I saw the waste in the cultures we’d draw on patients who inevitably were septic, others who were going to be discharged and thus would not need blood cultures, which took days to grow in glass bottles. By the time the blood cultures had grown, the patients would be long gone. It was like banding birds, a doc told me once. Still, I’d flick the lids off the bottles with my thumb, stick the patient’s vein with a butterfly or straight needle, puncture the lid of the culture bottle with the needle attached to the other end of the tubing, and fill them to the appropriate line. Drawing blood bumped billing up a level. Cultures, even more. These patient charts, the ones we broke down, were the happy endings in our emergency department. These were the patients who went home, who had some place to go, who left the hospital alive and in good condition. Patients who died flashed up on our screens occasionally, but those were easy to bill: level five, the most expensive, as we would have performed “heroic measures” to try to save them. The lifesaving stuff was always exorbitant: The techs lined up to do CPR, two large-bore IVs, one in each arm, using what the paramedics called the coffee straw—an enormous needle. An EKG, or two, or three. An x-ray. And sometimes, depending on the nature of the illness, the cardiac cath lab, where a group of physicians, a nurse, and a scrub tech would thread the patient’s arteries with a needle. At nineteen, I needed a Helene for living, a responsible party who could have told me, You don’t need to do this. That there were cheaper or better options than ending one’s life. Instead, I swallowed 8,000 milligrams of lithium carbonate, received a gastric lavage and activated charcoal, then ended up on a monitoring floor, which added to the expense. From there, I was transferred to the psychiatric ward, where we spent all of our time in the day room. When I left, I told everyone how it wasn’t every place you could start your day with The Carol Burnett Show, but really all I could think about was what this treatment was going to cost me for years to come. This thought, this recollection of the hospitalization, the subsequent bills, the cost of the ambulance to drive my unconscious body across town, the now fading first-name basis with the guy who was ultimately assigned to my account, in collections (Jeff? Or was it Ted? ), was something that came up—briefly, repeatedly, stunningly—whenever I worked in billing, like a bee sting. There was the prick of remembering, the wash of sudden insight. How responsible, how careful were we? Did I make a mistake in the last chart? Could I go back and revise? There was the guilt of billing a patient for too much—and we knew so many of these bills would never be paid, especially when there was no insurance to bill. Self-pay, we called them. You’d see it on the first page, upper right-hand corner, a mark against their futures. If I had a question, I could ask one of the two dedicated billers for our department. But then I’d start to recognize the handwriting as my own. Had I really put in for that test at the physician’s request? And it cost how much? Shafiq seemed to be one of the few in the department aware of the costs we assigned to our patients. He routinely cleaned and returned suture kits to patients and taught them how to remove their own stitches. We’d just throw away the tweezers anyway, and this way we could save the patient a trip back to the ER to get those sutures removed. “Nah, it’s not a big deal,” he’d say to the patient, handing him the tools. “Just take ’em out. Don’t cut yourself.” Shafiq had paid $50 per credit hour to finish his degree in Physician Assistant Studies at a community college on Chicago’s west side. He viewed himself as practical. Shafiq spoke endlessly about how basic medical care should be free, how we were “hosing everyone” by charging for LET, for staples, for particular levels of care. What if we were to treat everyone equally? What then? At some point I started billing differently. I can’t say when. It could have been when we had a patient die and I had to bill his family. It could have been when I saw the dizzying costs that were itemized for inpatient bills, or the time the woman I evaluated—my patient, our patient—and then billed was saddled with an amount she could never hope to pay. I remember her: how she came in and explained that things were difficult, that she didn’t have insurance, but she needed someone to lance the boil that had erupted at her waistline. It had been causing her incredible pain, to the point where she could no longer dress herself. Please, she said. But she had already been registered, been given an ID bracelet, all the apparatuses of the emergency department and its tracking. Her bill popped up later on my screen; I saw the amount. This, somehow, totaled the cost of living. I thought of my own unpaid medical debt, reduced the amount, told no one, and let the next chart flash across my screen. Every December, I buy a cake for my second birthday: another year I’m still alive. Some years it’s a cupcake; other years I opt for a grocery-store sheet cake. I invite friends over, or I have dinner with my husband and we sit and talk about work. I say that I’ve bought a cake. “Great,” he says. He loves surprise cake. He doesn’t know. Recently, my bank was bought by another bank. This would not be a notable fact except that I have been banking there since shortly after I was born. Before that, my parents banked there, and in the very early days of the institution, my aunt worked there as a teller. I modeled as a child, and I would endorse the checks from my earnings while lying on the bank floor, whose green carpeting hasn’t changed in more than thirty years. When the bank relocated down the street, everything remained the same. I still know all the tellers and the personal bankers, the vice president, the president, Rodney, who works in the basement, reconciling transactions, I swear, with a red pencil. Any of them could look at my account and see that a collection agency had been debiting money on the twenty-fifth of the month, and had been doing so for almost ten years. But the routing numbers changed with the acquisition, and so I called the collection agency to find out what had to be done. Perhaps I could give them a new routing number over the phone. Perhaps I would have to send them a canceled check. The company had offices in Iowa and Illinois, but the number was from Iowa, where I had been hospitalized. For years, upon seeing an Iowa number flash on my screen, I didn’t pick up, just sent the calls to voicemail: my Iowa landlord, my friends, old coworkers, bosses, professors, and once, admission to graduate school. Now, dialing the number felt strange. The woman on the other end of the phone explained that the call may be recorded, that she was a debt collector and was attempting to collect a debt, the phrasing of federal law. Her voice was Iowa, flat vowels of the upper Midwest. “You know you’ve been paying this debt for a long time,” she said. “I know,” I said. The conversation usually went something like this. So long, so much money. Usually debt collectors have to harass people on the phone, but not me, not anymore. I had fallen into line, paid the minimum every month on auto-pay. Twenty-five dollars a month times how many years equaled a bed in a monitoring floor. “Excuse me?” I was sitting at my father’s desk. My husband and I had bought a house nearby, and we had begun to inherit all the stuff of aging parents. I had the new checks in my hand, the new checkbook. I rubbed my thumb on its pleather case. My chest felt full of the sterile strips we used to pack wounds: yards and yards of knit-cotton ribbon crammed into the cavity left by a lanced boil or pustule. The silence pooled larger and larger. I said nothing. I waited. “So I can stop paying it?” I asked. “I’ll remove your auto-pay information from my computer. Have a great weekend,” she said, and hung up. And then I did, too. I held the phone in my hand. It couldn’t be right: They would call back in five minutes, or ten, or next week, or next month, when the payment was due, but nobody did. These days, I work far away from patients, writing up results of clinical trials or else abstracts for scientific congresses. The patients appear to me as raw data, depersonalized ID numbers, or in graphs that depict the efficacy of a particular drug, or as a way to explain value: One drug may cost more than another drug, but it is more useful, or requires fewer doses. The patients are further away—an idea, an endgame, a target hard to reach. All the work I do—the abstracts, the manuscripts, the slide decks—is in support of one drug, the next blockbuster, they call it. We are expensive, us medical writers. When I freelance for an agency, I bill by the quarter hour—like attorneys, or psychiatrists—and I think of Helene, her voice in my head. I try only to use what is necessary. But what, exactly, is necessary? Emily Maloney’s work has appeared in or is forthcoming from Harper’s, Glamour, the North American Review, and the American Journal of Nursing. She received her MFA in nonfiction writing from the University of Pittsburgh. Great article & well-written. It can't be easy to put together a coherent narrative like this on, you know, medical billing, etc. But, it's extremely valuable and a discussion that needs to be raised much more here in the U.S. This is a brave, compassionate, and captivating piece. Kudos to Emily Maloney for providing a crucial window into emergency room billing, and sharing her own moving experience, as well as to VQR for publishing a piece that's so timely given the recent rise in discussion about medical costs in the US. As a non American I have never thought about the prohibitive costs of health care associated with mental health. You have created an article which juxtaposes the personal cost of massive bills whilst issuing them to others. Well written and depressing.... Great job. Interesting piece. Mental health treatment is yet another reason to support Medicare for all. If only our corporate overlords hadn't anointed Hillary Clinton instead of Bernie Sanders. Regarding the statute of limitations, I've always understood from lawyers that by making payments you affirm the debt, and you have to stop paying for 7 years before the debt goes away. Also, I've heard lawyers say that this method ruins your credit. Anybody hoping to get out of debt the same way as the author should probably consult a lawyer. while getting a pedicure and reading Glamor...I was drawn to your article. It was very stiring and heart warming...maybe because my 29 year old grandson is high functioning PDD...maybe because I am also a published author...none the less it gave me encouragement. Thank you for pouring out your heart!